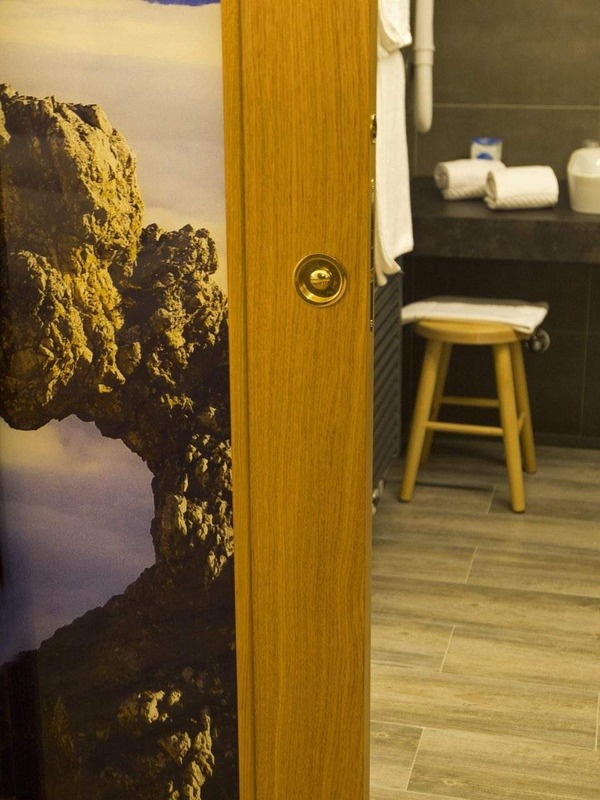 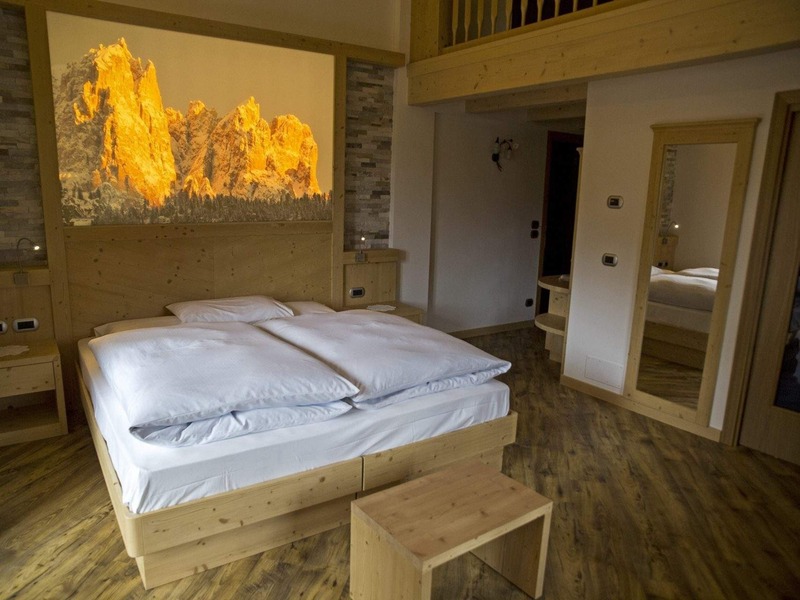 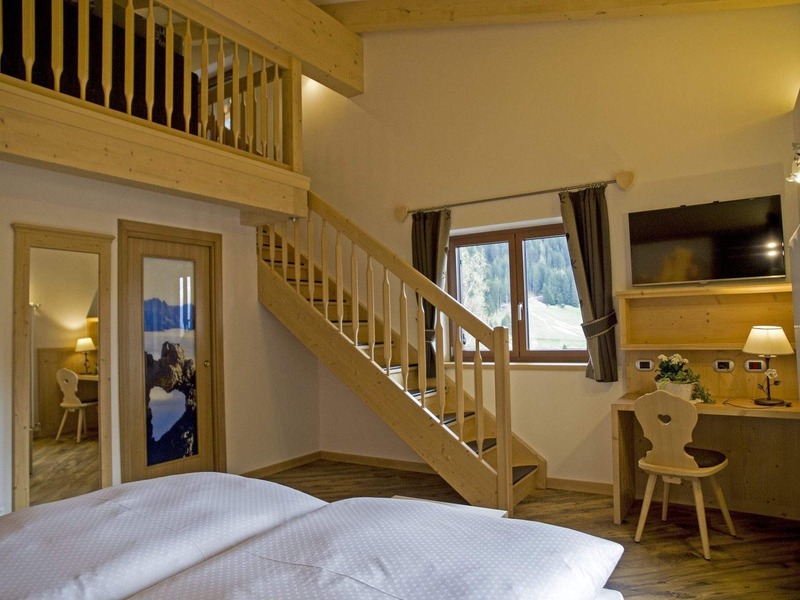 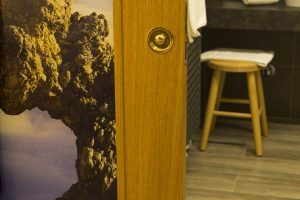 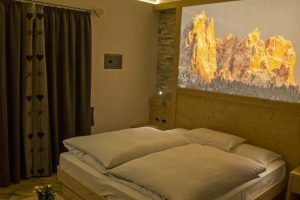 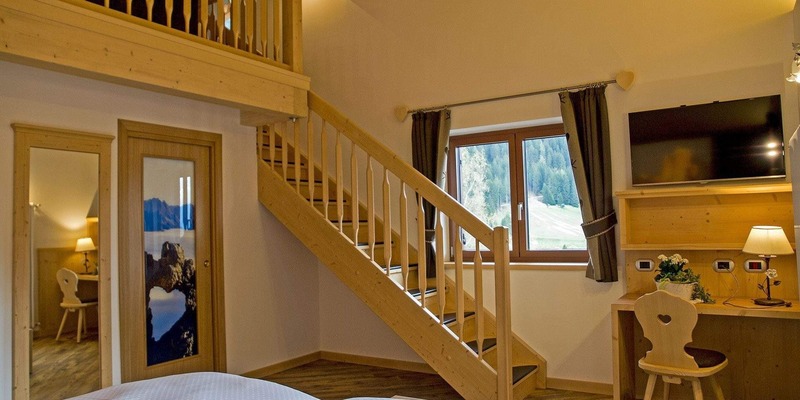 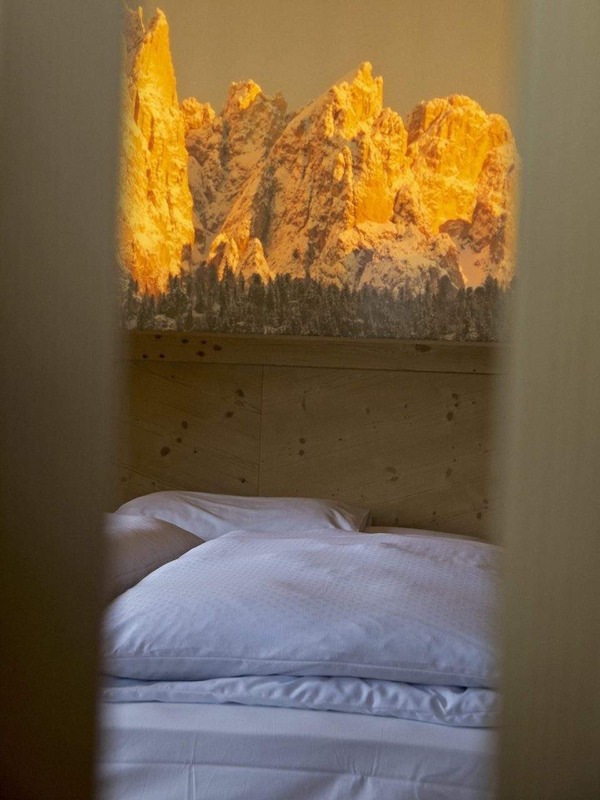 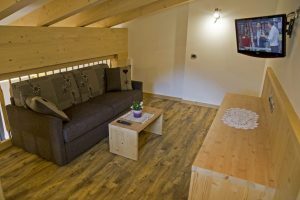 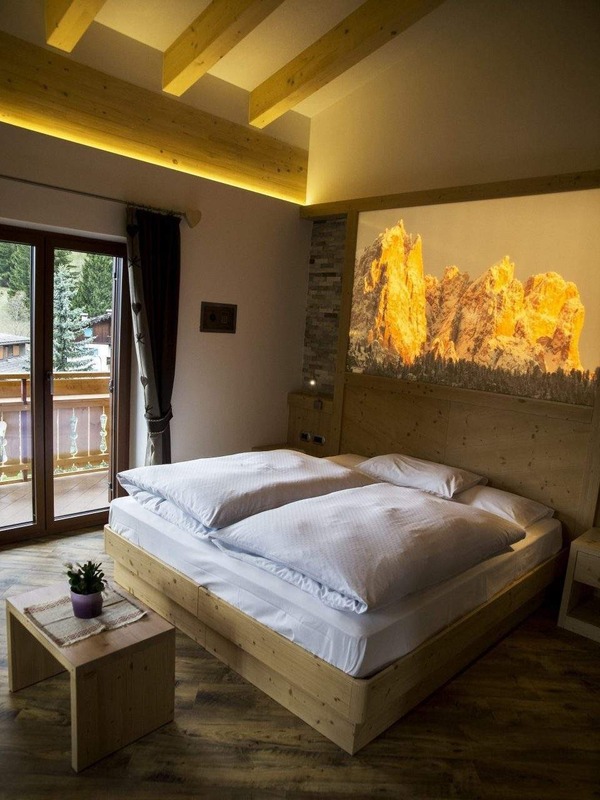 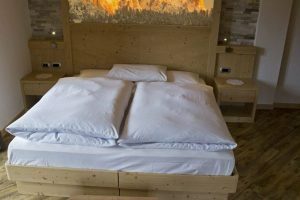 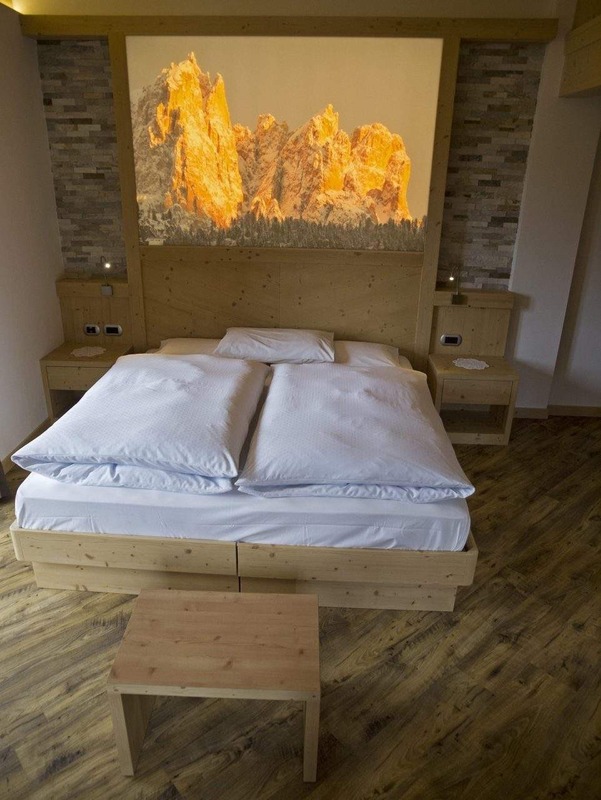 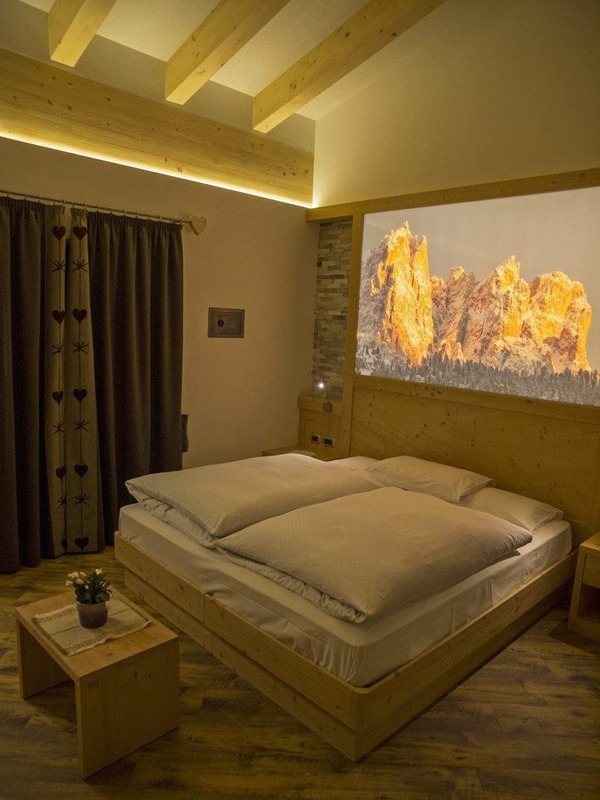 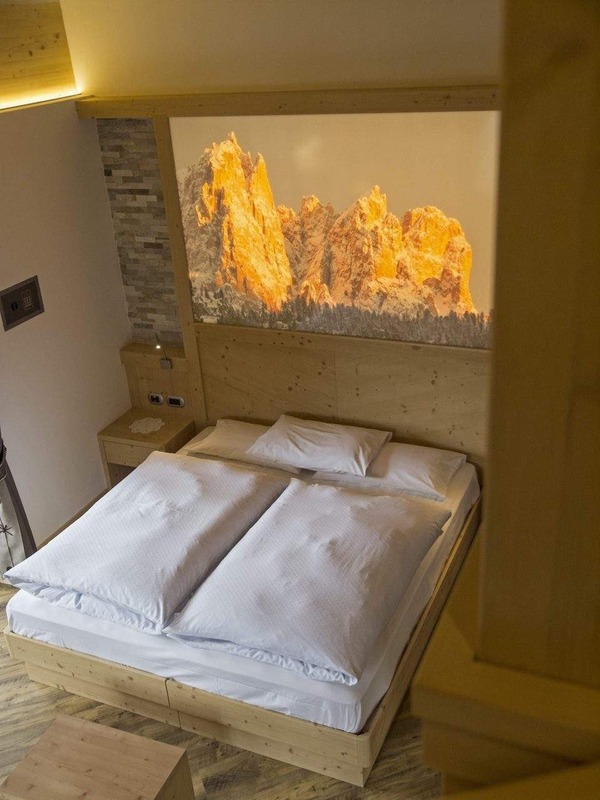 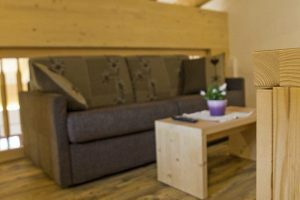 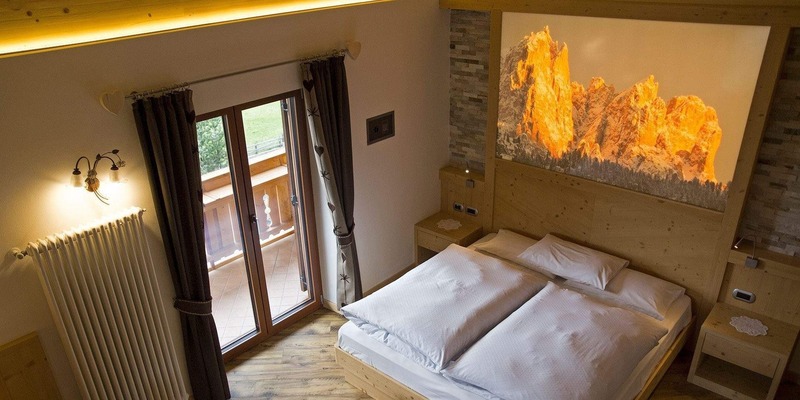 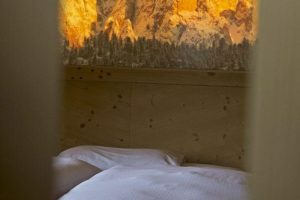 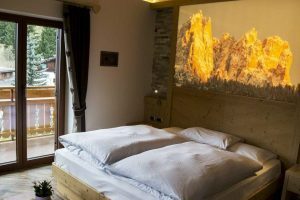 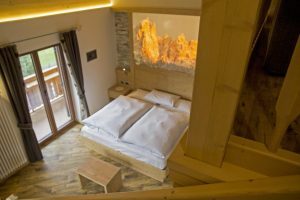 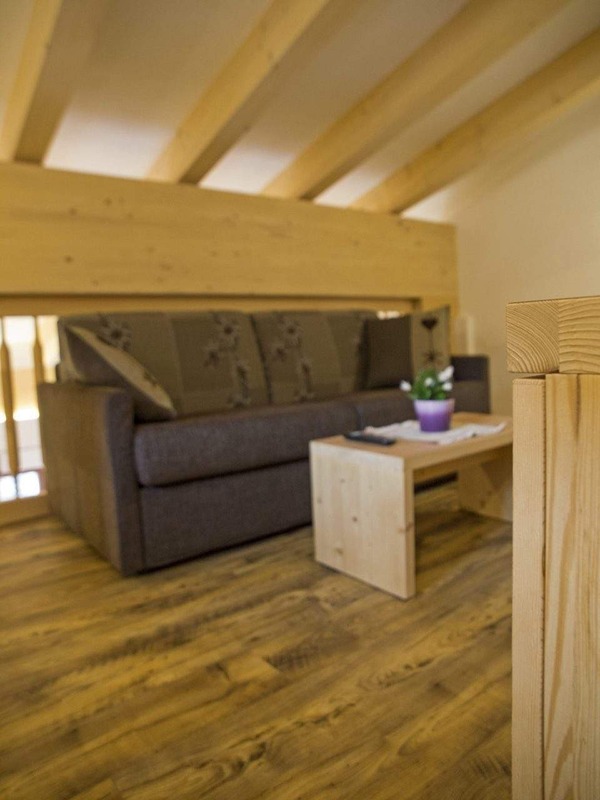 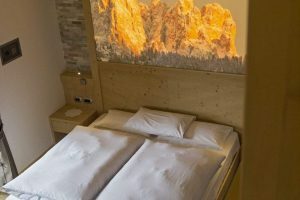 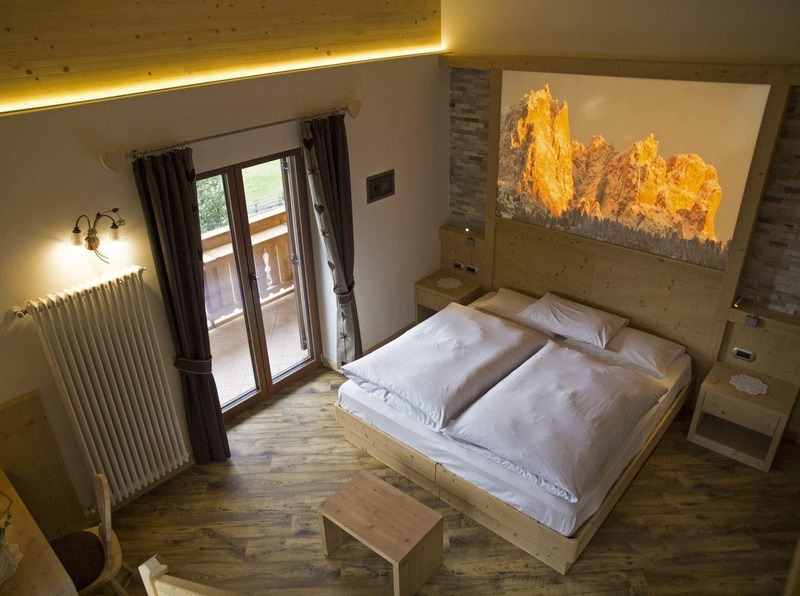 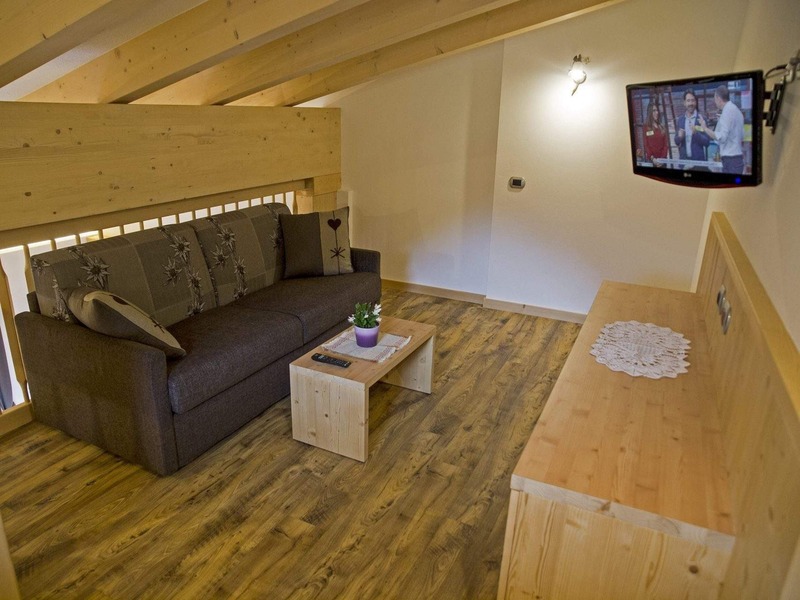 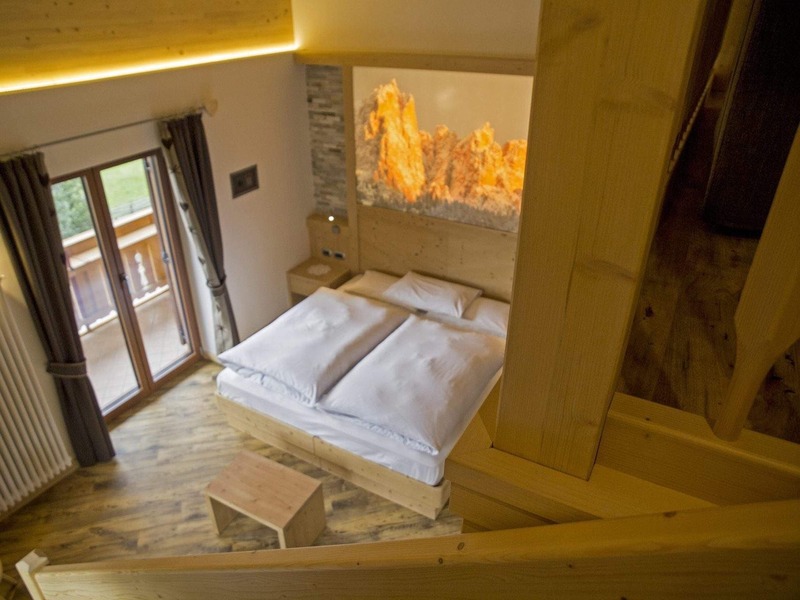 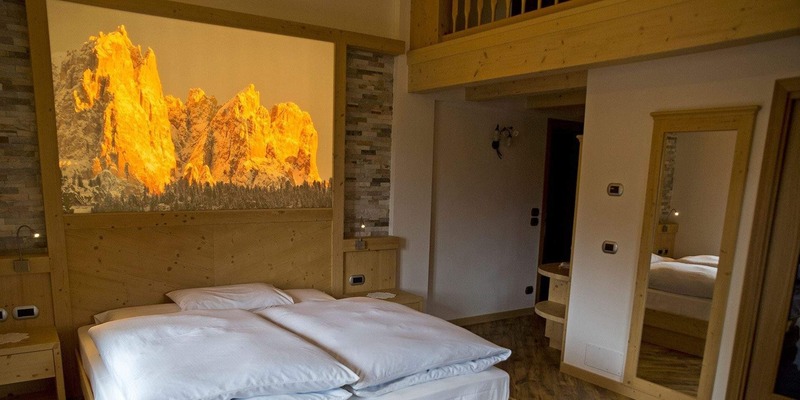 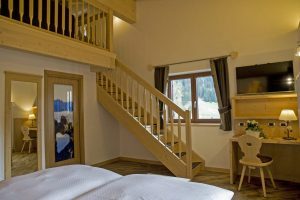 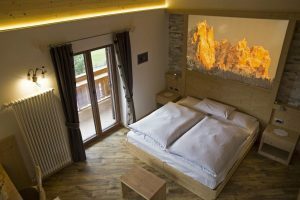 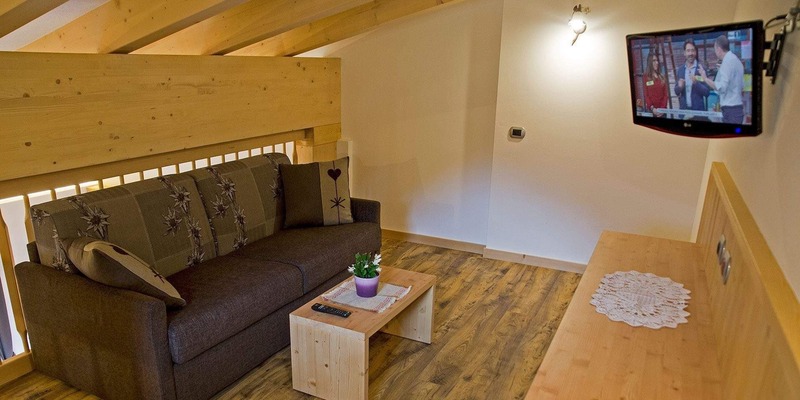 Suite Panorama (40 m²) has been recently restyled and furnished in Ladin Style. First storey with wide bath with a shower, sleeping room, security box, minibar, 32” flat screen TV and 2 balconies. 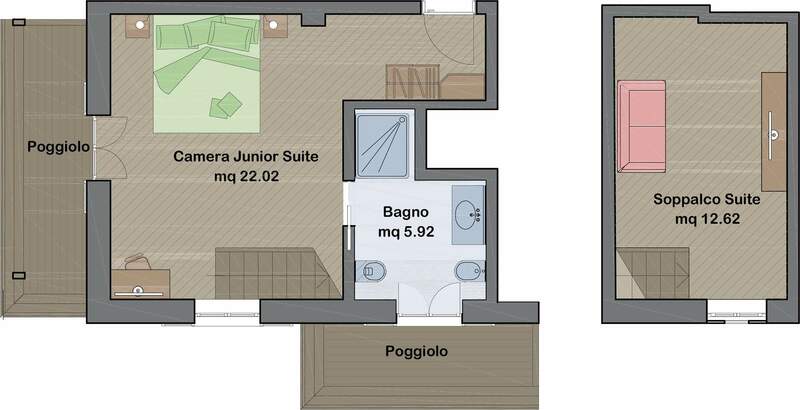 Second storey with a delicious living room with a 27” flat screen TV.